Protect your account with two-step verification, an optional but highly recommended security feature. 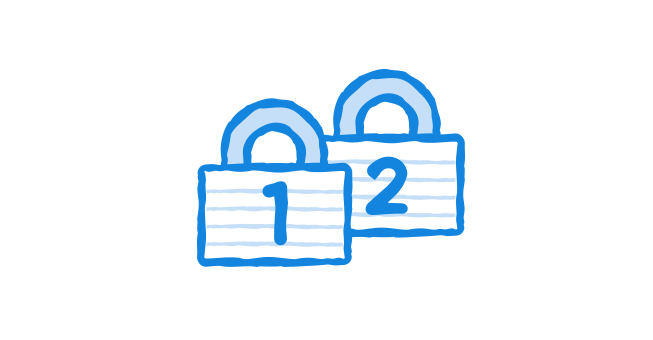 Once two-step verification is enabled, Dropbox will require you to enter a six-digit security code in addition to your password when you sign into the Dropbox website or link a new device. Before enabling two-step verification, you’ll receive ten 8-digit backup codes. It’s very important that you write these keys down and store them somewhere safe. If you ever lose your phone, or can’t receive or generate a security code, you’ll need one of these backup codes for emergency access to your Dropbox. Click on your name in the upper-right of any page to open your account menu. Select Enable under Two-step verification. Re-enter your password to enable two-step verification, and then choose how you want to receive your security code (see the following section). You'll need a mobile phone to access your six-digit security code. You can either have the code texted to you, or you can download an app that automatically generates a code for you. You'll be sent a security code by text message. Verify your phone number and enable two-step verification by entering this code on the website when prompted. Choose to either scan the barcode (if your app supports it) or click enter your secret key manually to be given a secret key you can type into the app. Once your app is configured, enter the security code generated by your authenticator app to verify setup and enable two-step verification. Note: When setting up two-step verification, consider adding a second phone number that can receive text messages as well. If you ever lose your primary phone, you'll be able to receive a backup security code at your secondary number instead.